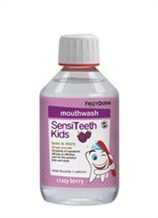 Are you looking for an effective mouthwash for your child? If so, you have come to the right place. Browse through FREZYDERM's range of oral hygiene mouthwashes now.